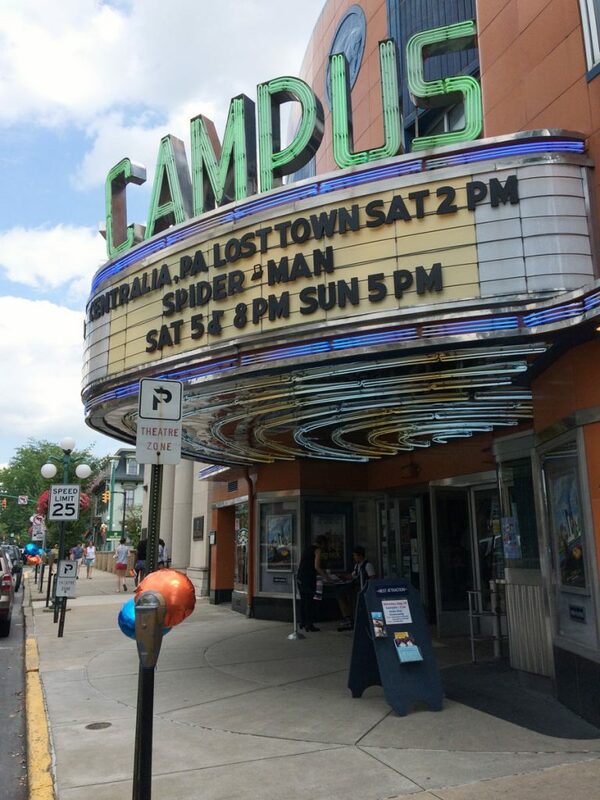 On the afternoon of Saturday, August 19th the documentary film Centralia: Pennsylvania’s Lost Town played at the Campus Theatre in Lewisburg, PA. Present at the film were many former residents of the town, as well as the film’s director Joe Sapienza II and David DeKok, author of Fire Underground: The Ongoing Tragedy Of The Centralia Mine Fire. The screening began at 2PM and opened to a packed house. As the lights went down in the beautiful Art Deco theater, the audience prepared themselves to watch the 1 hour 40 minute director’s cut of the film. 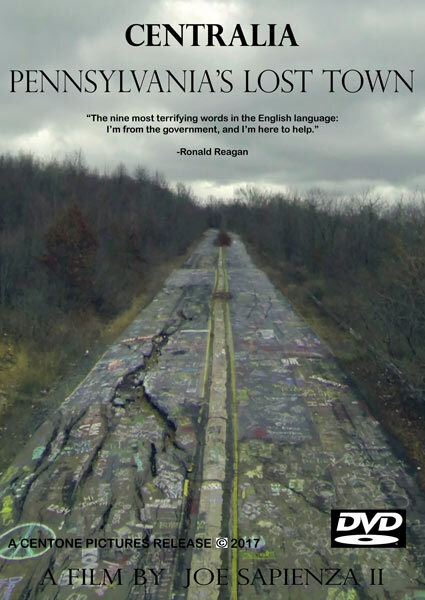 Centralia: Pennsylvania’s Lost Town takes viewers through the entire history of the town and its tragic mine fire. 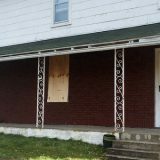 Beginning in the mid-1800s and covering right up to the present day, the documentary film weaves a story from the perspectives of residents past and present, the government’s own actions, and local news archives. 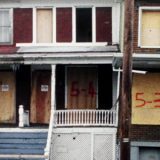 The story of Centralia, PA is not an easy one to tell. The feature-length documentary, which took three years to create and originally began as a college project for Sapienza, works to include as many facets as possible. Of particular note are the less well-known chapters: the Centralia curse, the neighboring town of Byrnesville, and the hotly debated mine fire conspiracy theory. One of Joe Sapienza’s strengths as a filmmaker is his ability to capture poignant and moving interviews with key players in the Centralia story. A notable one of these is Anne Marie Devine. Devine, who served as Centralia’s mayor during the forced relocation of the town in the 1990s, describes her experiences like taking on Pennsylvania’s governor at the time, Bob Casey. 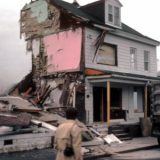 By the end of the film, the audience is left with a comprehensive view of the turbulent history of Centralia and its residents. Though, unlike a Hollywood studio movie, the film was unable to provide the satisfaction that comes from happy ending. The fact of the matter is that the story of Centralia, Pennsylvania is a tragedy. It is also a story whose ending has yet to be written. Today, the mine fire still burns, and a handful of residents still fight to maintain the place they lovingly call home. When the film concluded, Joe Sapienza and David DeKok took the stage to hold a panel discussion about the documentary. 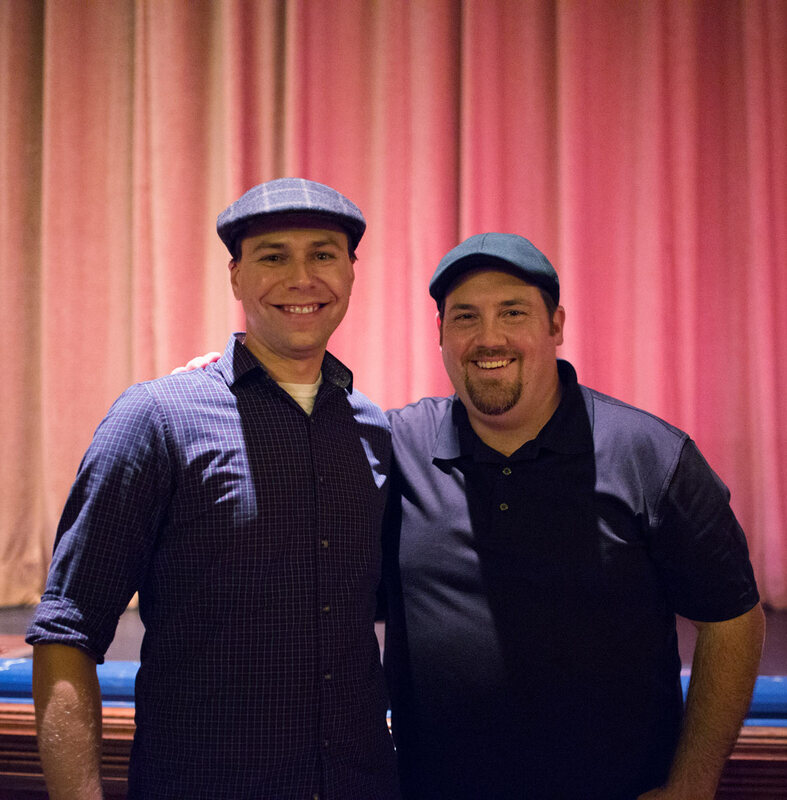 The audience was provided a unique opportunity to engage with these two individuals, who have so much first-hand experience working with the story of Centralia. 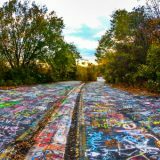 Centralia: Pennsylvania’s Lost Town is a must see for anyone interested in the topic of the Centralia mine fire or Pennsylvania coal towns. The documentary continues to be screened at select locations. Please view this page for a complete list of locations and times. When will the movie return to Philadelphia area? We hope to have it in Philly in the upcoming weeks or by November. We’re waiting to hear back from a few theaters for contracts. I wanted to relay some comments from a dear friend of mine who saw the screening just the other night at the Deitrich Theatre in Tunkhannock, PA. I enjoyed being a part of the Panel following the documentary with Joe and David, and my colleague Mike Hewitt from EPCAMR. We hope to make a few more of the screenings around the State to provide some additional insight on the film given our background in underground mining, mine mapping, water quality monitoring, and our desire to secure private funding to map the entire Centralia Basin using mine maps that we have acquired to develop a 3-D model of the underground mine fire, coal veins, and mine pool in the area. You all did a fantastic job with the film. Congratulations! It just left me speechless. 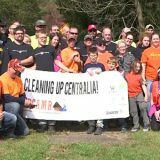 I followed Centralia in the news over the many years, but the film really wrapped it up and gave the town and the people a face of humanity. It brings tears to my eyes to see over and over again the callousness of Pennsylvania legislators and bureaucrats along with the governors. I’ve seen similar characters with different situations playing out with shale. It’s just heartbreaking the government we have and their solid distaste for people, public health and the environment. I hate to write it, but I’m not confident that another mismanaged environmental disaster won’t happen in Pennsylvania again. Keep up the good work. People need to know how government fails so they’ll vote better. Perhaps WVIA would be interested in the miniseries. We think it’s a great idea. Please thank everyone and commend them on an excellent job, well done! Thank you so much for those comments, that means a lot to us, and we’re thrilled that people were able to laugh, cry, and learn from the documentary! Thank you for all that you have done for me. The poster, the chats. I was really bummed when I couldn’t attend the Lewisburg show due to an emergency and helping a family member out during a tragedy. However I made the trip to York the following weekend and got to see the film. Now it’s time to buy. I will be in touch because I want to put you in contact with someone who lives on the hill and gave us permission to drive around his property along with the stories he told us are something I will never forget.